Many children’s writers find giving their book a title one of the trickiest parts of the job. It’s an important consideration, though: along with the jacket design and the name of the author, the title of a book is the thing mostly likely to make a potential reader pluck it from the shelf or leave it be. But what strategy works best? Direct or oblique? Short or long? 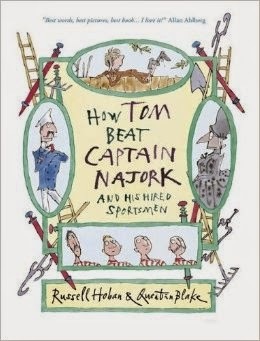 There is no single answer: both Joan Aiken’s Is and Russell Hoban’s How Tom Beat Captain Najork and His Hired Sportsmen strike me as excellent, though they have little in common. (Aiken’s of course would give a present-day marketing department conniptions, being virtually invisible to search engines, but that’s a different matter.) Back in 1950, when my mother was a humble secretary at Geoffrey Bles, C. S. Lewis sent them a manuscript called The Lion, the Witch and the Wardrobe, with a note to the effect that this was obviously just a working title - and it was only at Bles’s persuasion that he used it for the published book. History has proved Bles right, but I can see Lewis’s point too: it does look like a working title, once you allow for the beer goggles of hindsight. Titles have their fashions, like anything else. For example, the big Disney blockbusters of recent years have mostly been past participles: Enchanted, Frozen, Tangled (or “Bewitched, Bothered and Bewildered,” as I like to think of them). This snappy style is seen as more in keeping with the busy lifestyles and short attention spans of modern children, but it’s a sobering thought that if Sleeping Beauty and Cinderella had been made today they would have been called Pricked and Slippered. 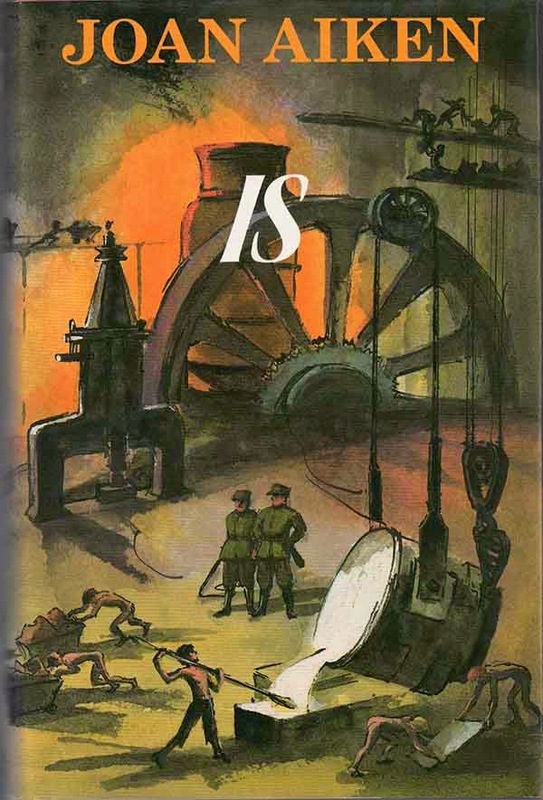 Around the turn of the millennium there was a vogue in Young Adult fiction for titles that described continuing actions or progressive states, in the form “Verb + ing + Noun”: Gathering Blue, Burning Issy, Missing May and so on. I suppose this was intended to evoke a sense of adolescence as a moving target, a time of change and flux. Any device can be overused, however, and when I wrote Calypso Dreaming (2002) I deliberately reversed the order so as to make my book stand out. How well that strategy worked in terms of sales I leave to historians to record. Mine’s The Blue Moon Promise. What’s yours? Thank you. And what are the chances? I got "Roping Cokey" (my dad named our first kitten Cokey because she had the paws that refresh ...) (I wanted to call her Fluff.) 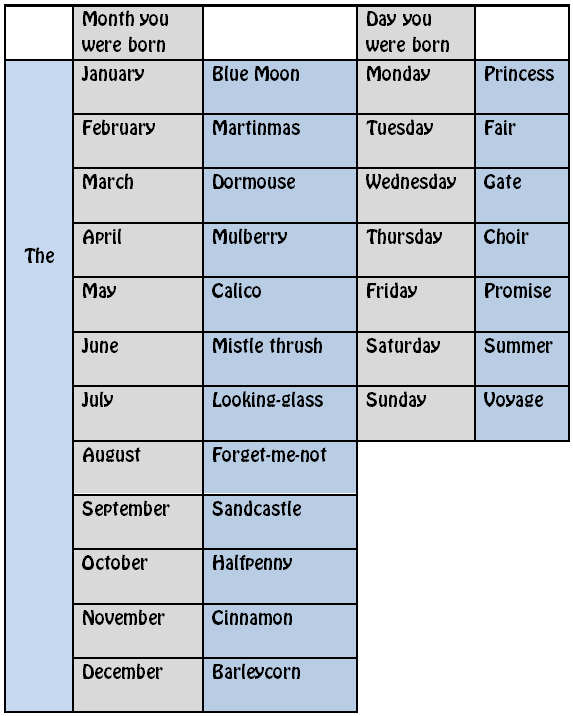 And then I got "The Martinmas Summer" - with a time travel element, perhaps? Sandcastle Summer. Makes perfect sense! A touch Blytonesque, I think. A wonderful blog, Cathy. Oh and my older title (on the model of Vexing Topsy) is Respecting Opaline. "Roping Fluff" wouldn't have worked half so well, Joan - the moral being that we should always listen to our parents. Yes "The Sandcastle Summer" could be a straightforward idyll, perhaps involving a competition to build the biggest and best sandcastle; or it could be a slightly melancholy nod to the transience of youth. Or both, of course. "Respecting Opaline" is great - whether Opaline is the high-school queen or (as I suspect) a street drug. Or, in the classic words of "Seasons in the Sun": "The stars we could reach/ Were just starfish on the beach." John Green, eat your heart out! Mine is 'The Halfpenny Voyage' which is clearly a cross between something by Nina Bawden, and 'A Penny To Cross the Mersey'! Really enjoyable post, Cathy - thanks! My first title is 'Crying Tweetie.' Tweetie was a budgie, which I got instead of a dog. That worked well. A budgie is so like a dog. 'Crying Tweet' might work better. Second title: The Looking-Glass Promise.' Very mysterious. I had 'Wanting Bryony' followed by 'Dormouse Gate'. Snigger. The Forget-me-Not Choir! Brilliant. I am going to write it. Wanting Sooty, which actually describes how I felt when our neighbour turned up with a tiny tiny black kitten in his huge farmer's hand. Blue Moon Summer, a haunting tale of bitter sweet first love. I see the setting as a seaside summer home in the states with the lovers crossed by class and wealth. But The Forget-me-not Voyage is lovely, if slightly soppy. I like this game, Cathy! Love the idea of a political thriller called Dormousegate. Brilliant! I love your post. I got 'Donating Sammy' (yes, a more interesting pet name would have helped here! ), and 'The Halfpenny Princess', which I quite like and has lots of possibilities. Killing Simba (perhaps an African vibe for this one), and The Mulberry Promise. Noting them both down for further investigation. Thank you, Cathy. I needed cheering up, and this has done it! Oh, and isn't 'Is' called 'Is Underground' for the American market? Becca, I didn't know that about "Is Underground", but it doesn't surprise me! Obviously I shouldn 't be a writer as both my title are rubbbish: Containing Tamil and The Calico Gate. Although I like Ann Turnbull's idea of running it together into Calicogate and making some, er, scandal about an Indian textile magnate. I'm out of my depth. I rather wish the nearest book hadn't been Jekyll and Hyde. Equidistant on the other side was Ragged Trousered Philanthropist and that gave me Calling Tamil, which is little better. A film script I'm reviewing which was actually closer but isn't a book gave me Raising Tamil...why does everyone use such boring verbs? I'm sorry my generator gave you such poor service, Stroppy! I thought I'd help you out by offering the book nearest me right now (Miyazaki's memoirs), but that just gave me "Searching Tamil", which sounds like an unpleasant incident at passport control. I do think "The Calico Gate" has some possibilities. Either a straightforward portal fantasy, or else a quasi-historical adventure set near a bazaar city's famous Calico Gate, whence merchants stream to bring brightly coloured chintzes to an eager world. This is delightful and fun! I shared this with a work,are, who is going to do her own version with her Year 7 class. As for mr, I'm going to use it with my Year 9/10 Creative Writing elective - I will ask them to put down their current stories for the moment and come up with titles, then a one paragraph blurb which can maybe be used later in the semester. We can discuss what their titles might be about. I think they will enjoy it. Sue, that sounds a great idea. I'd be interested to know how it goes! I got Whitening Jemima. I am sitting right next to a bookcase, so it could have gone several ways, but The Light Fantastic is both roughly lined up with my elbow and sticking out further than the books around it. Jemima was partly white already; the rest of her was tabby. I think I'd rather read my 60s Puffin, The Barleycorn Gate, which has a faintly intriguing Morris-dance ring to it. I suspect the cover was largely brown.